UnionPay is a financial services company located in China which was found in 2002. It offers major card scheme as well as bank card services, it is working under the approval of PBOC, the People’s Bank of China. Additionally, UnionPay is the sole Chinese interbank which connects almost all ATMs of banks located in China. It is known to be the largest association in the world for both credit and debit cards. 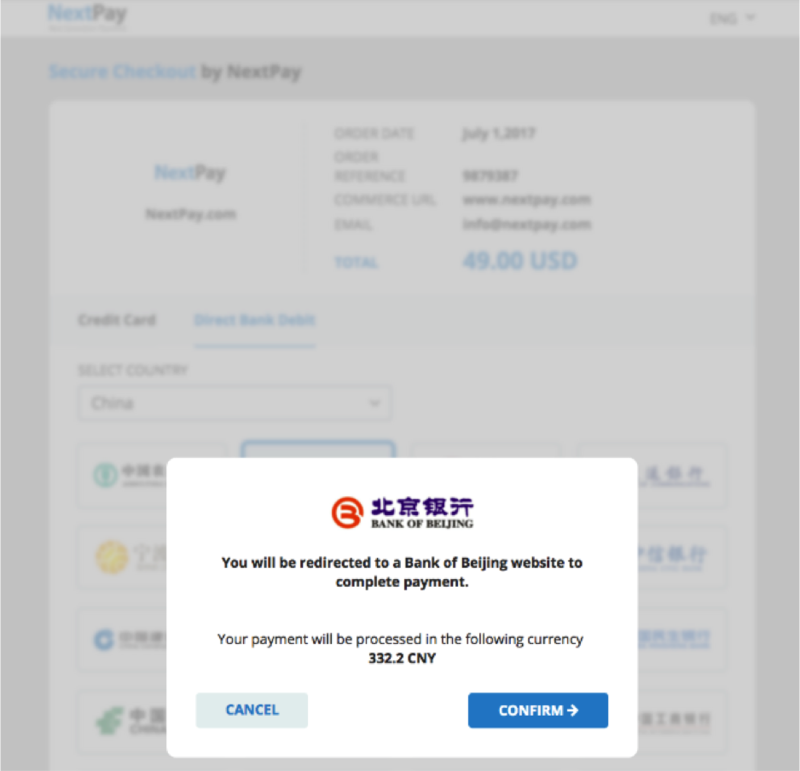 How to use NextPay to accept UnionPay payments? 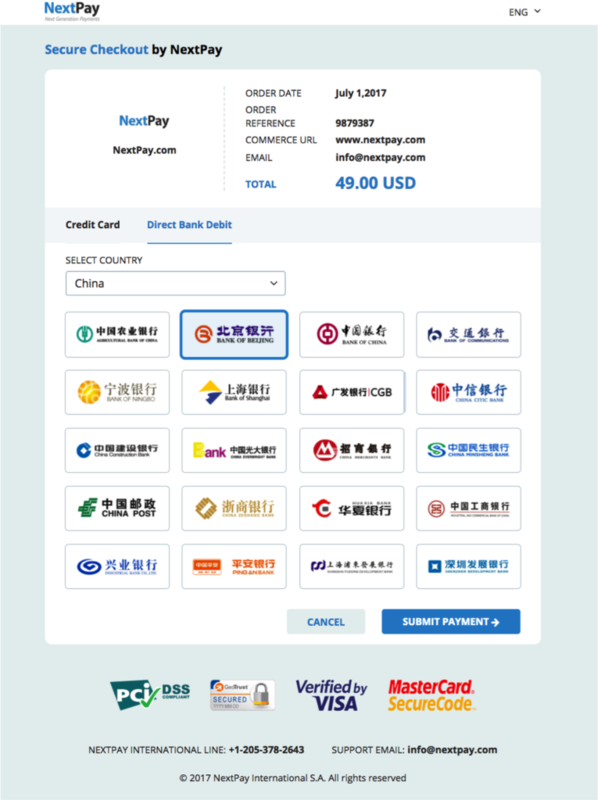 Initially, the client needs to access merchant’s website using NextPay.com payment service to get the payment issued in a simple process that contain the value to be paid, kind of service and the recipient address. Figure 1 shows this process and the redirection message to the Bank of Beijing for payment completion. 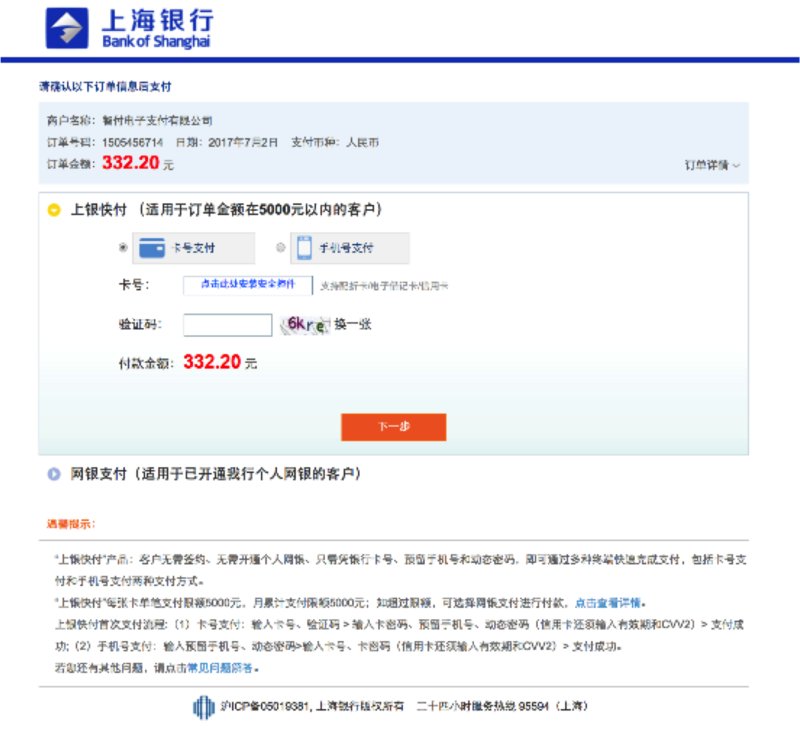 The client chooses his/her bank in China and selects the direct bank debit, then the order will be converted to the Chinese currency in case it was inserted in a foreign currency, as shown in figure 2. The customer is redirected to his/her account in the bank to insert their bank account’s credentials as represented in figure 3. Finally, after payment confirmation, the client is redirected to NextPay with the payment order result. He is redirected back to merchant website after completing the process. UnionPay provides a very high level of security for processing online transactions. Online shopping becomes easy and accessible for all customers who desire to make online purchases at any shop or grocery that approves Unionpay. UnionPay has established its existence in more than 160 countries that cover over 2 million ATMs and around 35 million merchants. The year to year growth level of Unionpay cards was evaluated at 31.2% which is a remarkable increase in its development. UnionPay worked on advertising hot offers at several merchants, some of which are represented in the list as: Beverly center, duty-free shops of some airports, South coast plaza, the metropolitan museum of art, as well as several outlets. The number of shoppers in China is expanding daily, which is expected to reach one trillion dollar by year 2020. Over 18% of Chinese shoppers go to third party domestic online payment solutions. Equal share of about 15% each for both who prefer to use online banks and those who use offline credit cards. Unionpay is considered to be the third payment provider in China in terms of popularity, with a market share of 11.5% after Alipay and Tenpay which represent 51% and 18.6%, respectively. Contact us today and sell to the biggest market of the world!